P4s Joint Winners of Melrose Tournament! 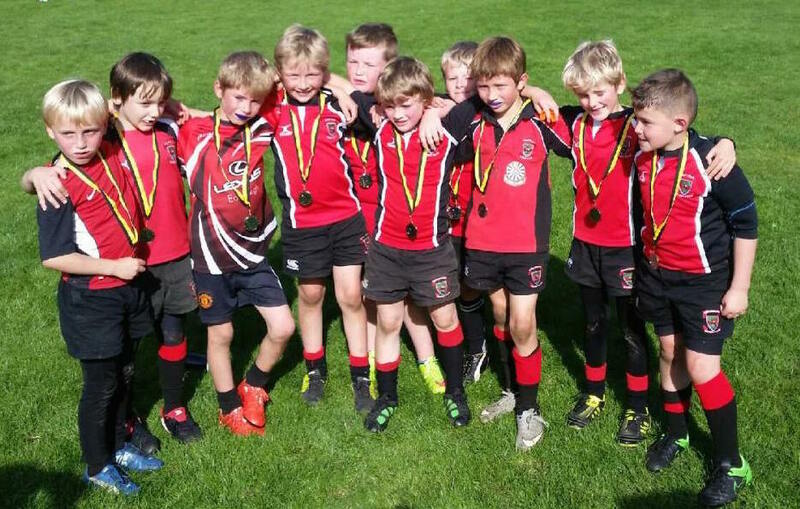 Last weekend the P4s went to Melrose RFC to take part in their mini tournament. It was an extremely well attended event and as a result we were only allowed to enter one team, therefore a squad of ten went down whilst the remainder of the P4s trained at Linlithgow. The weather was glorious, making the conditions ideal for a day of open running rugby. We played our opening game against Melrose and all of the boys contributed to a great team effort. It was extremely pleasing to see some quick passing and offloading out of tackles and a lot of hard work to support the player with the ball. In defence it was clear that we are still getting used to tackling, which is not an easy skill to learn. However we can see the players getting better and better all the time as their confidence grows. This is something we will continue to work on in training. The good news is we won the Melrose game, and then went on to beat Kinross and Kelso in our group stage. A narrow loss to Peebles in the last game of the group meant that, on points difference, we ended up top of the group. That just shows the number of tries the boys scored in all their games – well done all! We played the semi-final against Gala, who had been runners up in the other group (comprising Stewarts Melville, Biggar, Melrose and Madras College). Again our guys played some great rugby, with a lot of commitment and a huge amount of effort from every player in the team. We scored some well worked tries and the handling that the boys displayed was excellent and was more than good enough to beat Gala and reach the final. The final was played immediately after against Biggar. By this time the boys had been at the tournament for over three hours in very warm weather, and the heat and tiredness were beginning to take their toll. However we started brightly and went in to an early lead with some confident and strong running. As the game went on Biggar showed some real determination and brought themselves back into the match and the final result was a draw. This was undoubtedly a fair reflection of the positive attitude from both teams and the way they had played, and both coaches agreed that they should be ‘joint winners’ of the tournament. All in all a great day for the team, and every one of the boys can be proud of their contribution and the skills and attitude they showed.